We’d love your help. Let us know what’s wrong with this preview of Dr. Fulford's Touch of Life by Robert Fulford. 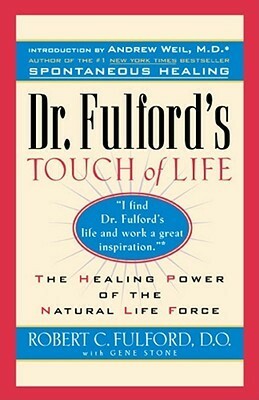 To ask other readers questions about Dr. Fulford's Touch of Life, please sign up. Extremely skeptical, but definitely interesting, and helps me contextualize several friends' interest in some of the practices contained within this book. This book is an amazing insight into the teachings and healing work of Dr. Robert Fulford. Osteopathic medicine was established in the United States, and has been around for many years . . . yet many people have never heard of it, or have reservations about the profession based on false media statements. Perhaps this is why this book is a breath of fresh air, because Dr. Fulford was a master of osteopathy, and proved to make a positive effect on many people over the course of his lifetime. The b This book is an amazing insight into the teachings and healing work of Dr. Robert Fulford. Osteopathic medicine was established in the United States, and has been around for many years . . . yet many people have never heard of it, or have reservations about the profession based on false media statements. 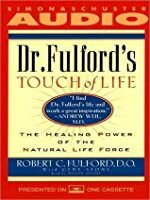 Perhaps this is why this book is a breath of fresh air, because Dr. Fulford was a master of osteopathy, and proved to make a positive effect on many people over the course of his lifetime. The book is important because it teaches readers to listen to their bodies in a more in-depth way than conventional medicine has taught us in modern times. We are too reliant on what "doctors say," while we should be in greater control of our own health. There are other, more foreign concepts detailed in the book, which are interesting to consider, some of which are fundamental to osteopathic teachings, and some which are unique to Dr. Fulford. Of course the more familiar concepts of eating right, breathing right, meditation, and exercise are outlined. Some newer concepts such as cranial manipulation, different forms of trauma on the body, fluid movement of spinal fluid, etc. My Osteopath gave me a handout with stretching exercises developed by Dr. Fulford. Simple but effective, I was curious to learn more about him and I'm glad I did. His simple and straightforward writing style emphasizes the basics to building a life of wellness: taking good care of yourself by stretching, meditating, dealing with the past to release pain from your body and mind, eating for nourishment, etc. Great reference book moving forward. This is a funny little book about mind-body healing written by a country doctor who's avoided being hypnotized by the promises of the pharmaceutical sales reps. Just gives his own experiences and insights without attempting to cover the whole subject. A nice read. Great book by a great Osteopathic physician. Dr. Fulford explains from his many years of experience about how effective Osteopathic medicine is and breaks down this field to a science of sort. Great read and will keep for future reference...has some pretty good info. I got this book about 13 years ago and it was very moving and exciting then. Knowing all I do now, I realize this book so much more valuable than I ever realized written by a darling, beautiful man. I highly recommend. An osteopathic classic, Dr. Fulford's book is a very quick and enjoyable read and very useful for anyone wanting to learn more about "traditional osteopathy." A must read for anyone who wants to be involved in the healing field. He was a wonderful and humble man. I know I've read this book before, but what an eye opener the second time around! Genius!